Biotechnology education got underway at Austin Community College in 1999, when the college became a regional center for Bio-Link. Since that time, Austin has earned a reputation as a leader in biotechnology education. 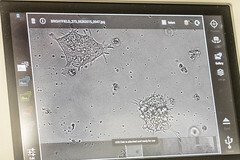 The Biotechnology Program at Austin Community College works with the local bioscience industry to educate students in basic laboratory skills, math skills, genetic engineering, protein purification, cell culture, quality assurance and quality control principles, regulations, bioinformatics, computer skills, ethics, documentation, and teamwork. Students are educated to work in a variety of positions that span different kinds of companies including Pharmaceutical, Molecular Diagnostics, Manufacturing, Research and Cancer Research, Fisheries and Wildlife and Cell Culture. The State of Texas has adopted the Washington Skill Standards for Biotechnology. The Austin Community College Biotechnology Program was the 1st program in the state to formally adopt these standards and receive program recognition from the Texas Skill Standards Board.